Cleaning house made easier in East London! It is a known fact that life in East London is very busy and it is really hard for the people to fulfil the needs of the house cleaning after coming back from their hectic job schedule. Thorough house cleaning needs few dedicated hours and it is not an easy task to take out even a couple of hours from your daily routine. Do you want to have someone to help you around and perform the cleaning tasks for you? 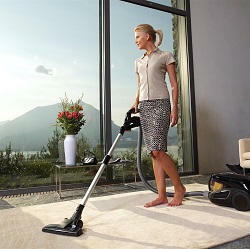 Do you want to get your sofa cleaning, window cleaning, carpet cleaning and hard floor polishing performed regularly? Are you looking for some deep cleaning services? If these are your needs then Lola Cleaners can serve you at its best. We can provide you with professional cleaners and they can meet your cleaning needs by using their skills and experience. Our company professionals are completely trained and can provide you help in any household task. After hiring us, you can sit back and relax as our cleaners can handle all the tasks efficiently. We promise to deliver high quality services at affordable rates. You can call us at 020 3743 9100 and book us for any kind of services and assistance. East London includes Eastern part of the city and the Northern part of the River Thames. This area provides home to London boroughs of Hackney, Newham, Red Bridge, Havering, Barking and Dagenham, Waltham Forest and Tower Hamlets. Most of the area of East London comes under the ancient part of the city and is now undergoing the regeneration process. The part of East London that is associated with the Thames Gateway is still under development process. The major development was made in Stratford in the year 2012 during the summer Olympics. The major attractions of East London include Discover Children’s Story Centre, House Mill, Stour Space, The Nunnery, the White Building and The Old Town Hall. Majority of the East London’s attractions are ancient buildings. As the region is located at the lower part of the Thames River so a number of rivers are associated with the region. These rivers include the Roding, the Beam and the Lea. According to the year 2011, the population of East London was around 1 700 000. The transportation system of East London is well planned and well structured. It is very easy to access all kinds of transportation means from anywhere in East London. If you want to get house cleaning done or you want to get end of tenancy cleaning performed. Lola Cleaners is the right choice for you. Our company provides a range of cleaning services including kitchen cleaning, oven cleaning, carpet cleaning and complete domestic cleaning. Our company provides cleaning services not only as one time cleaning service but you can also request for daily, weekly, fortnightly and monthly basis. All you need to do is to make a call to us at 020 3743 9100 anytime and we can assist you for the required services according to your needs. Our services are comprehensive as well as competitive. We try to serve you at our best and you definitely will feel tension free. In East London we are famous for providing the most reliable services. Our cleaners are trustworthy and you do not need to take stress of your home and your belongings. You can book us not only for house cleaning but also for office cleaning, after party cleaning, school cleaning, spring cleaning and end of tenancy cleaning. We can perform our duties efficiently in any situation while looking after your possessions. We are always here to help you.